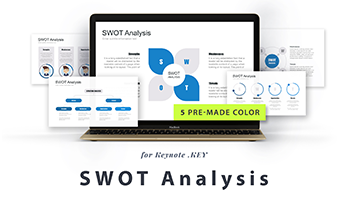 Free SWOT template Keynote (for MAC) - Download Now! What is our free SWOT template for Keynote for? 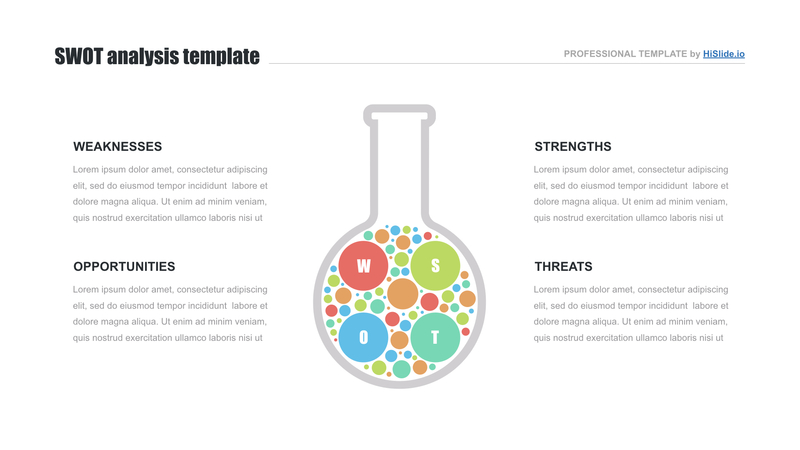 On the sample of this free SWOT template for Keynote, users can see a creative flask with bubbles. Due to this design, the slide becomes unique and vivid. Four text blocks are located on the slide. The element is designed for displaying the results of SWOT analyses. 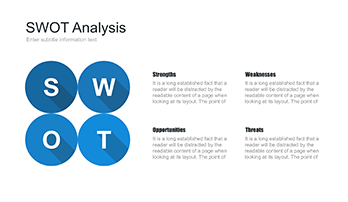 Each text block helps to clearly and precisely explain each part of the analysis. Every business or company has to make this analysis. It is one of the best tools, which allows identifying strong and weak points of the business as well as consider possible threats. Being aware of the analysis’ results, a skilled businessman will be able to properly organize further work as well as concentrate attention on weak sides. The purpose of this unique premade SWOT chart is to visualize this information. When displaying the results at a meeting, an audience will better get the essence if the topic will be clearly represented. Perfect quality. Excellent quality and convenient work without visible defects are what we offer to our users. We test each element and display only approved slides. Thus, downloading this chart, a user can be sure that it can be displayed on any devices. Vector elements. Users are free to adjust colors, size, and other built-in tools due to the use of editable elements. Free download. 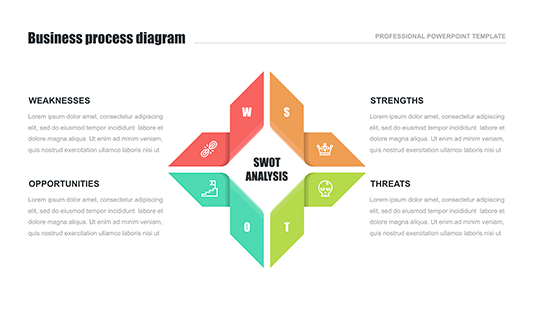 We offer to our clients to download this SWOT analysis Keynote template for free. Multipurpose template. This element is used to display the findings of the analyses. It will become excellent support for business meetings and conferences. Easy-to-use premade element. Each employee wants to get an assistant for work. And we are ready to offer it! This free SWOT template for Keynote simplifies responsibilities and helps to create professional unique presentations.